Please view further electricity and water connection options here. Manufacturers offer bidet seata as "DIY" "Do it yourself" meaning installation is simlified and does not require an authorized installer. You can safely cut the electricity cord, for hard-wiring or extensions without voiding the warranty. If you would like an expert for installation, T00aleta offers a search engine for installers in your region (currently in the process of extending the database). First, you have to determine whether you have a Wall-hung or Close-coupled toilet. The main difference is that Elongated bidet seats usually fit Wall-hung toilets best, while Round/short version is usually competible with Close-coupled toilets. Mounted onto a dry-wall frame/cistern. This type of toilet has the tank and bowl bolted together upon. 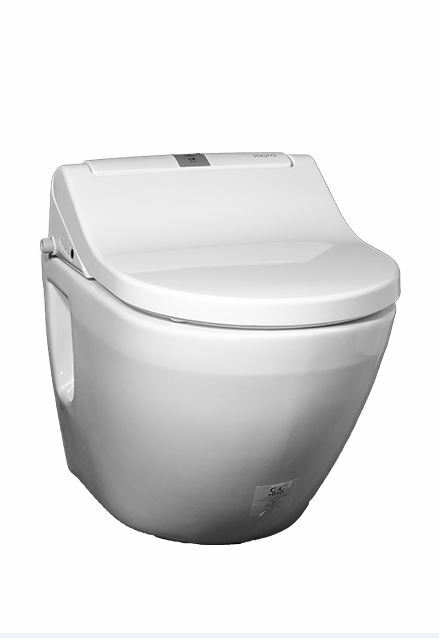 Virtually all bidet seats we carry will fit Wall-hung toilets.. Virtually all Standard and short versions of bidet seats fit Close-coupled toielts. There may be some restrictions on the type of bidet seats that will fit these toilets, so to be sure we suggest you call or email us with your make and model. If you're unable to find the model number, please call us at +448081350068 for assistance. In the unlikely event that your measurement is less that 1.75 inches, the please call us at +448081350068 so we can discuss the make and model of your toilet. To avoid the need to cut marble adhesive trunking was used. A hole was drilled trough the wall and plugged in at the other side. Water supply had to be improvised (drilling a hole through the plastic push plate), because of the out dated wall-hung cistern. Adhesive trunking and plug directly taped to the tiles. Water supply had to be improvised, because the wall-hung cistern is upwards of 10 years old. Installed in a public bathroom. Customer was advised the Coway ba13-BR (round) which would be a better fit for the shape of the toilet, but the customer opted out for the longer Coway ba13-BE version. One-piece toilet combined with the Coway bidet seat. As always a straight forward installation, because of the easily accessible water supply with close coupled toilets. Public Handicap toilet equipped with the Coway bidet seat. Connecting the water via the push plate is clearly visible. 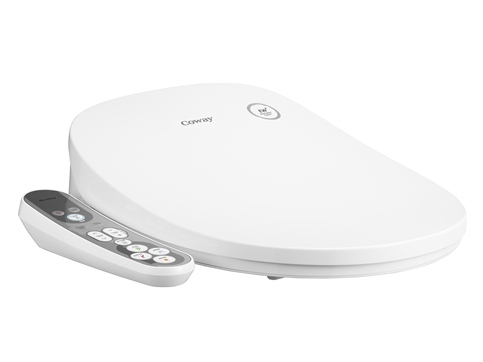 Customer opted for a longer Coway ba13-BE with its elongated shape its less suitable for the customers toilet shape. Coway ba13-BR while a perfect fit is slightly shorter which is noticeable in the size of the seat "hole" it self. Adhesive trunking used for wiring, saving significant installation costs. Water source directly from the cistern behind the push plate. Coway BA13 fitted to a handicap toilet. Coway fitted to a wall hung toilet during bathroom renovations. A corner valve was properly installed allowing for a neat finish. Electrical supply connected from the other side. 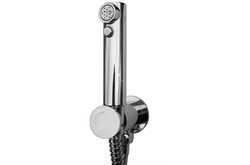 Geberit Duofix 82cm was used for fitting the toilet, to accommodate the short ledge Installed in a public bathroom. DIY installation - customer drilled through the wall and plugged the cord on the other side. For the water supply, the customer also simply drilled a hole into the push plate and connected it to the water source located directly behind. 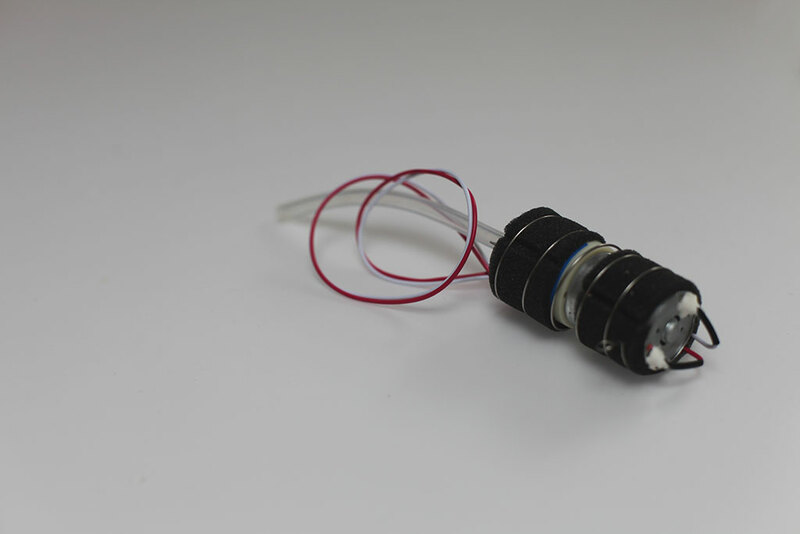 Elbow connector visible on the photo is supplied with the Coway ba13 installation material. Customer opted for a longer Coway ba13-BE even though the Coway ba13-BR (ROUND) would be more suitable. Coway ba13-BE Korean made "Japanese Toilet"
Many customer choose a longer bidet seat even when a smaller more would be more suitable. Washlet Maro D'Italia di600 combined with a floor-standing back-to-wall toilet wc pan. Dib Daewon J500 close coupled shower toilet installation from satisfied customer. Slim design Washlet seat with no electricity required. Customer installed the TOTO NC and Maro DI600 combination with the Geberit Duofix and Chrome plated Sigma 20 flush plate. Maro D'Italia Di600 was installed onto an existing floor-standing toilet. Customer plugged the unit in, on the side of the wall, directly behind the toilet. Installer preparing to mount the free water softening filter which comes with every bidet seat purchase. Installed onto an existing wall-hung toilet pan. Straight forward installation. 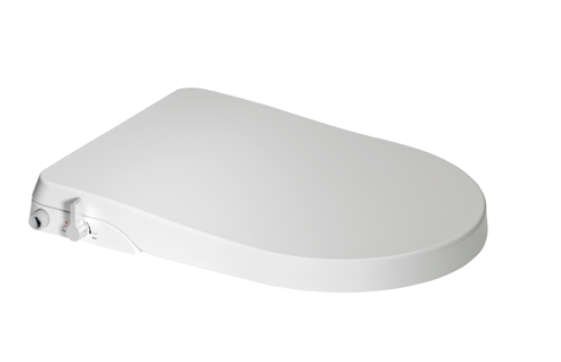 TOTO Washlet GL 2.0 combined with TOTO MH CW161Y Floor-standing back-to-wall rimless toilet.